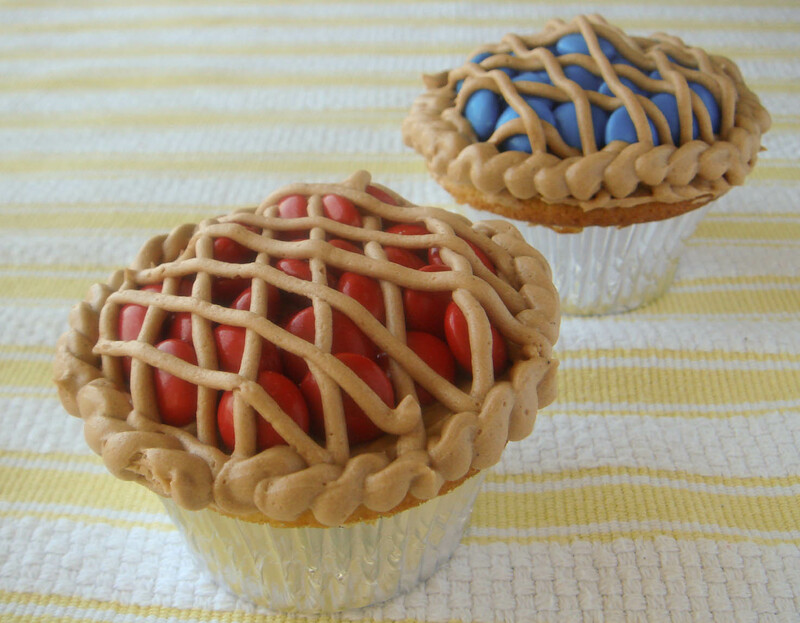 It's kind of both- a cupcake that looks like a pie! My good friend C came over for a girls' night of foodspiration! 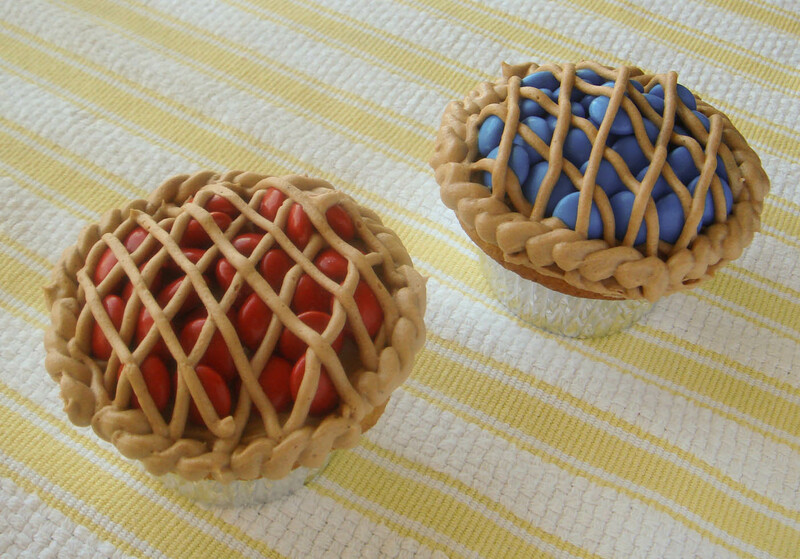 We decided to bake two kinds of cupcakes from the cookbook "What's New, Cupcake? "- a gift from another friend who hoped I'd sneak in some baking before the baby comes. So we chose these easy and adorable pies! The first step was to make the cupcakes (you know my favorite, easy recipe: Billy's Vanilla Vanilla cupcakes and frosting). Note, this recipe makes about 30 cupcakes- we made 24 and they were a bit too big and hard to get out so make about 30 with this batter. 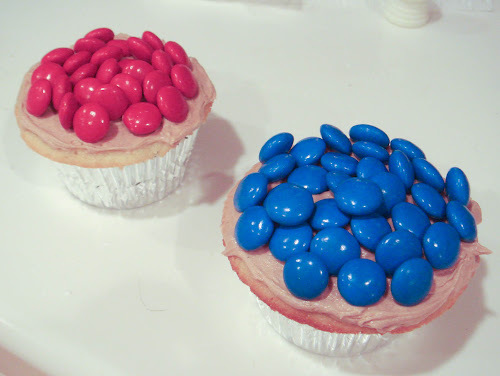 While the cupcakes are cooling, you can sort your M&Ms. 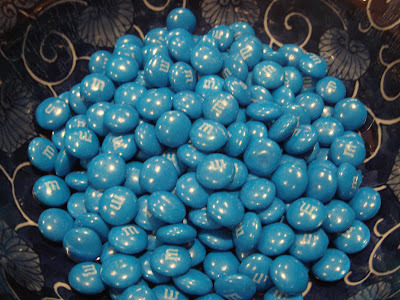 We had two big bags and this is how many blues we ended up with...quite a bit more than the reds. Here were the reds- in total between both colors, we had enough to make 11 cupcakes. So you will need more than two large bags if you want to do only red and blue pies. We actually used the other 12 cupcakes for a different cupcake decoration coming in the next post. After applying a layer of frosting, the stacking of the M&Ms is key. C was better at the stacking- minimizing the gaps and sometime putting one or two right on top. The tricky tradeoff is that it is not as easy to pipe the lattice when too bumpy. Also, leave space to pipe the beading, so don't put the M&Ms to the edge. 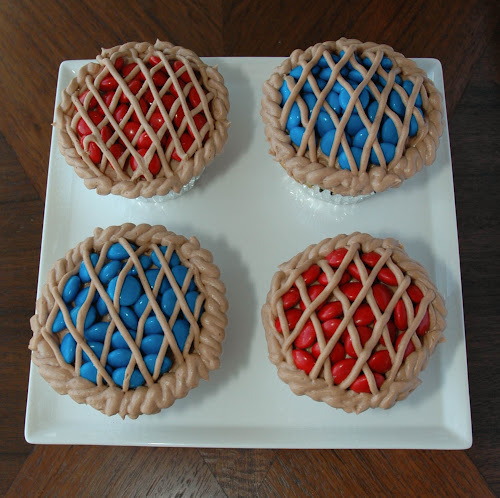 We used a number 4 wilton tip for the lattice and did a diagonal piping instead of a straight. After the lattice, I used a plastic bag and just cut off the tip and did a swirl crust along the edge. It covers a lot mistakes. It's easier to pipe when this is on a pedestal. And so there you have it, pies! 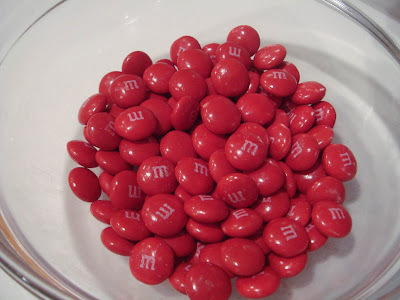 i wonder what these might be like with real fruit on top instead of M&Ms...next time! That is amazing! What was your total bake/work time? Actually not too bad. The cupcakes don't take too long because the recipe is a one bowl and one liquid measure recipe without any sifting. And you make one kind of frosting color. I think this isn't too bad. Maybe a couple of hours? You have to let the cupcakes cool before frosting. 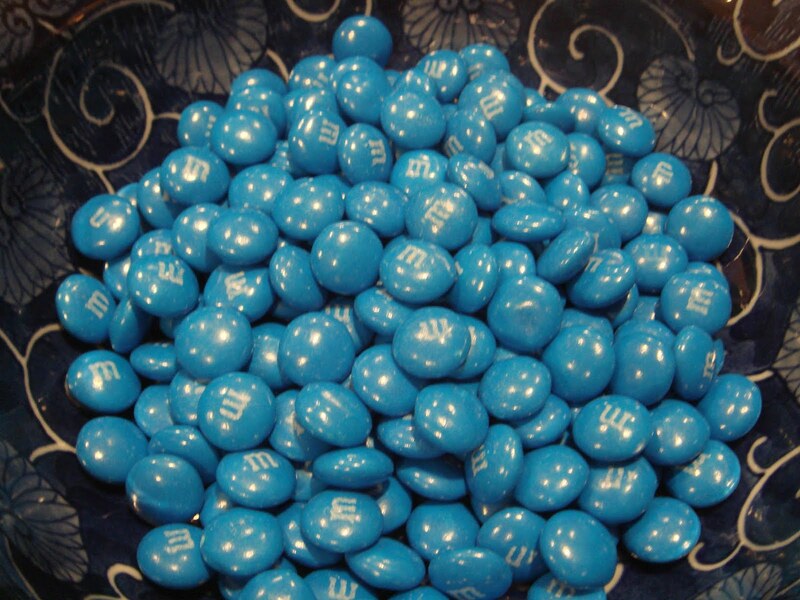 We also sorted M&Ms instead of buying just one color. Did that while they cooled. Thanks,Audrey! I have to confess that it wasn't my idea, it came from "what's new cupcake" the cookbook. They are cute though!!! That is completely and utterly adorable! Oh my word, Lauren, those are too cute! Incredible job!